The final day of In:Site festival! 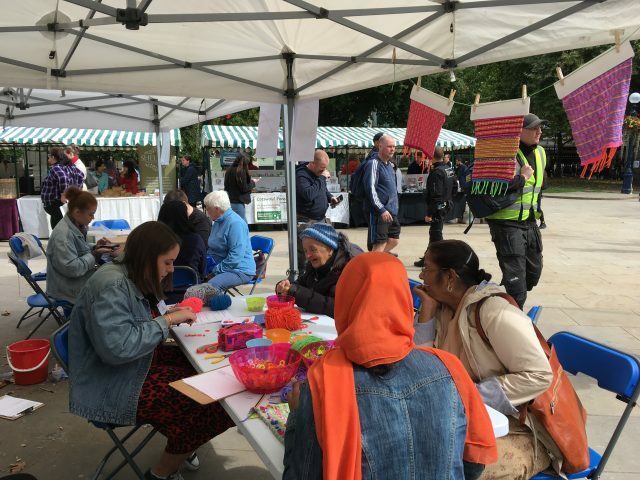 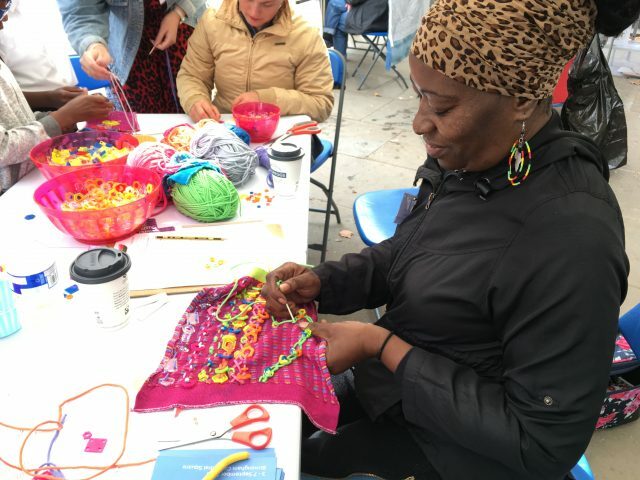 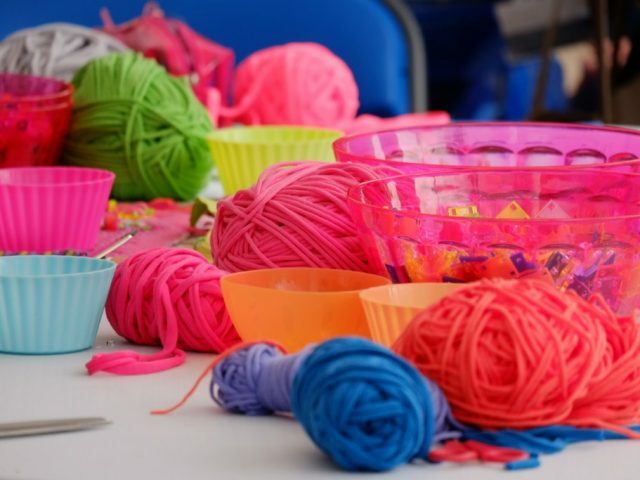 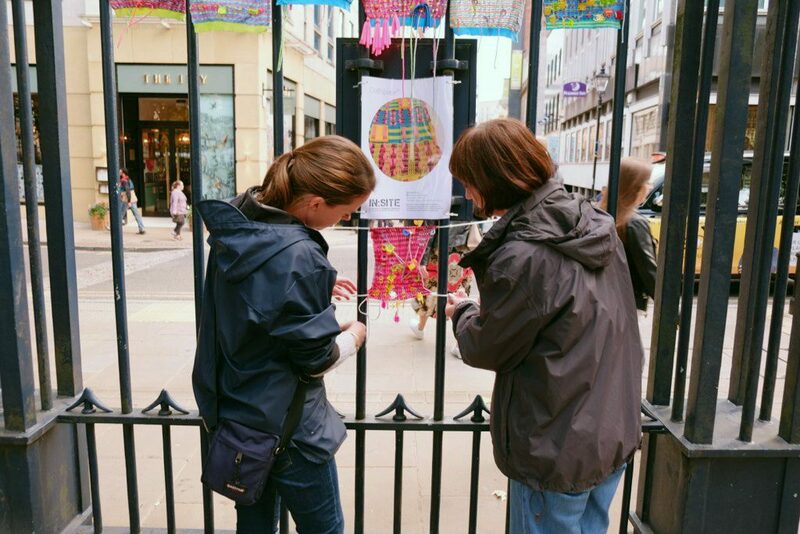 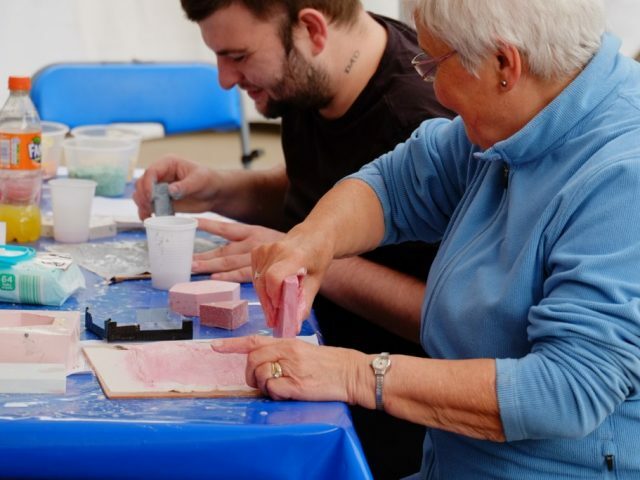 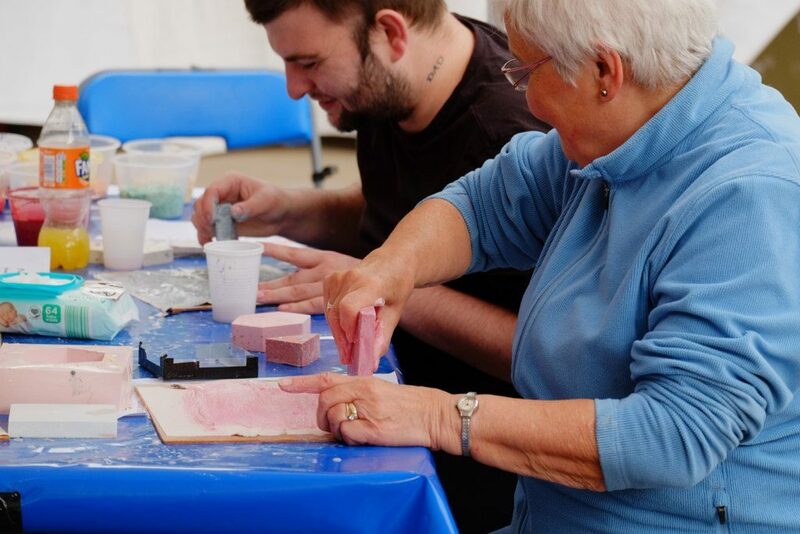 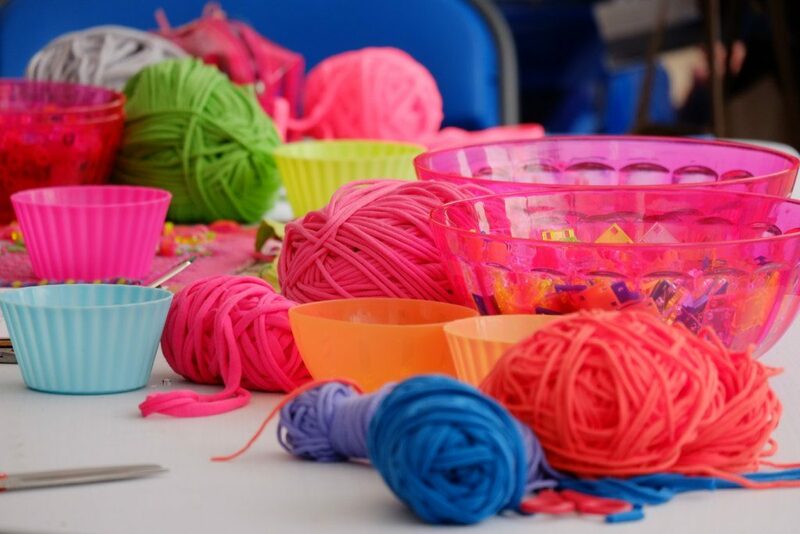 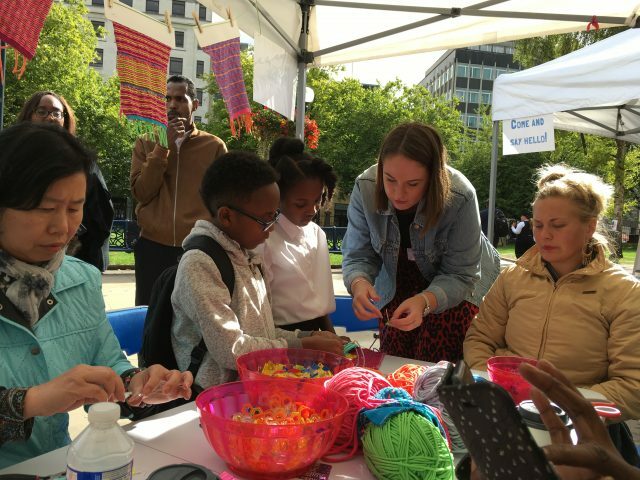 There was a pop up ceramic garden and passersby created their own lifestyle products, jewellery and got creative with stitch. 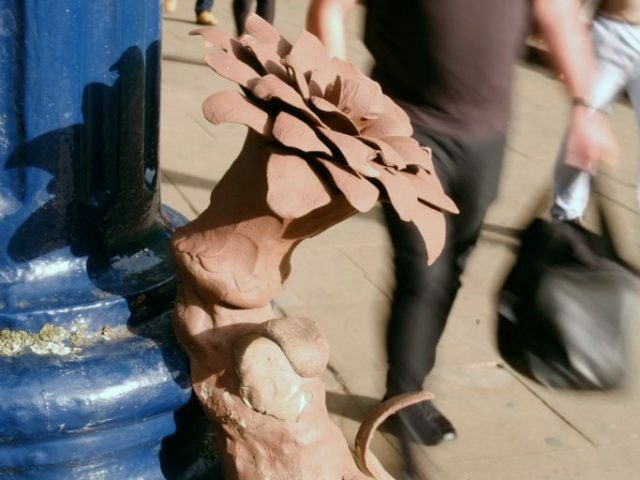 George is a designer who graduated from Birmingham City Univeristy in Product and Furniture Design. 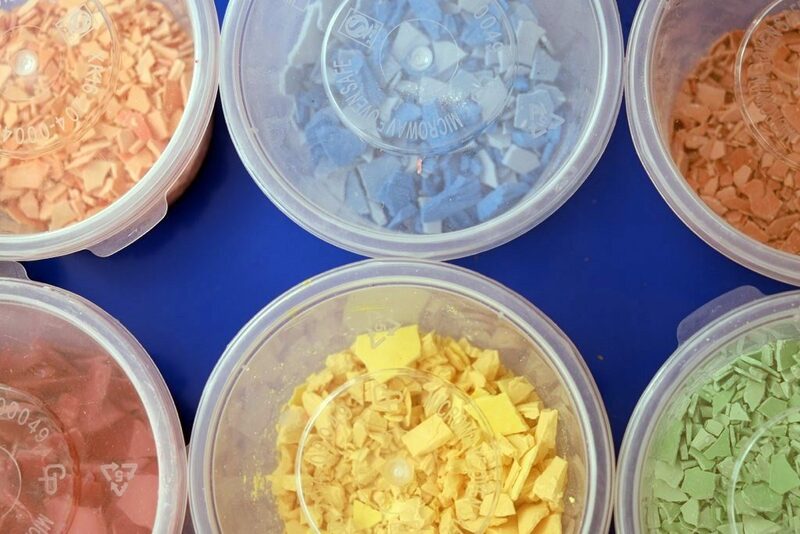 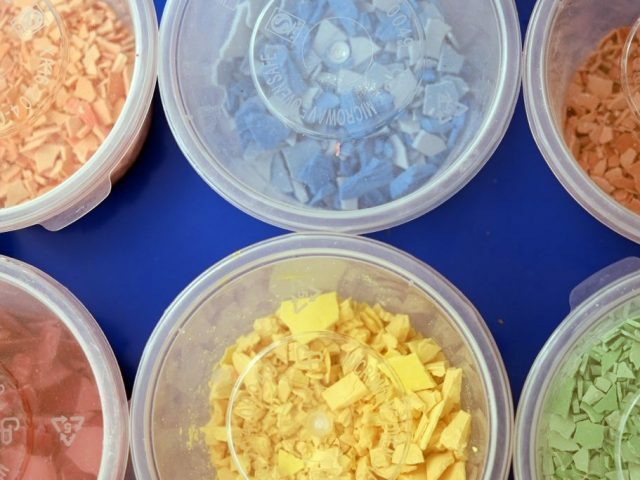 In his design practice George is interested in different materials and their aggregates. 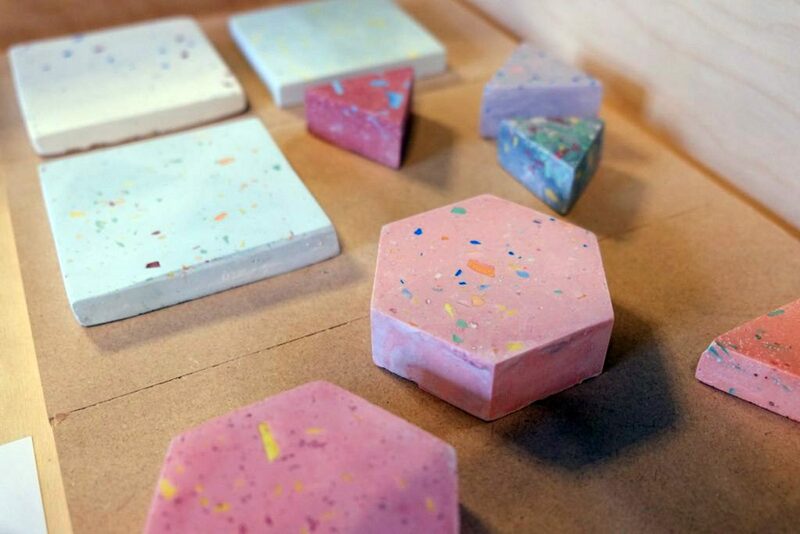 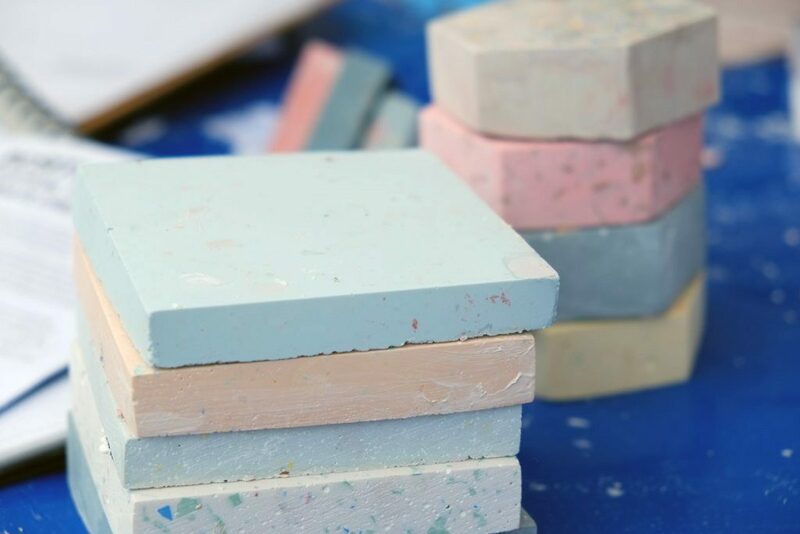 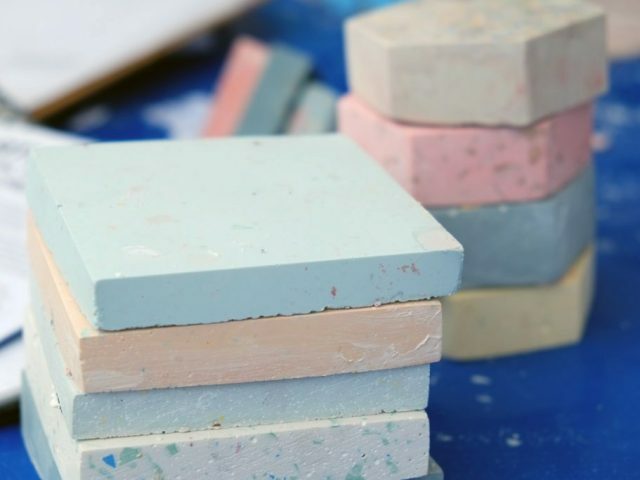 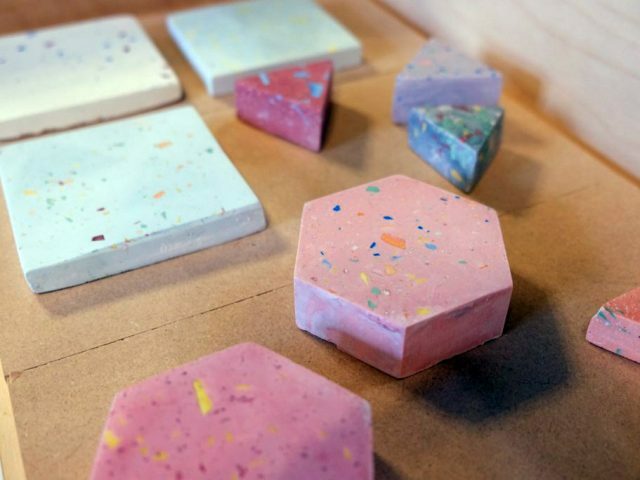 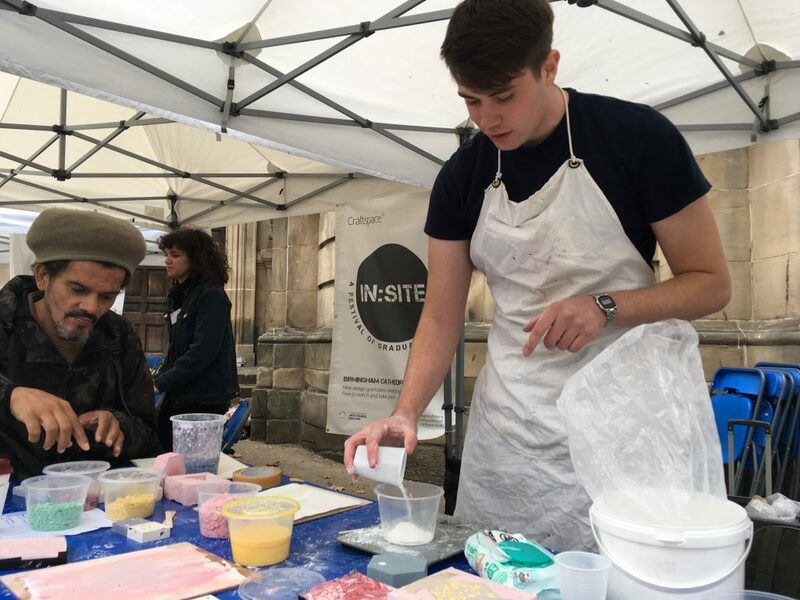 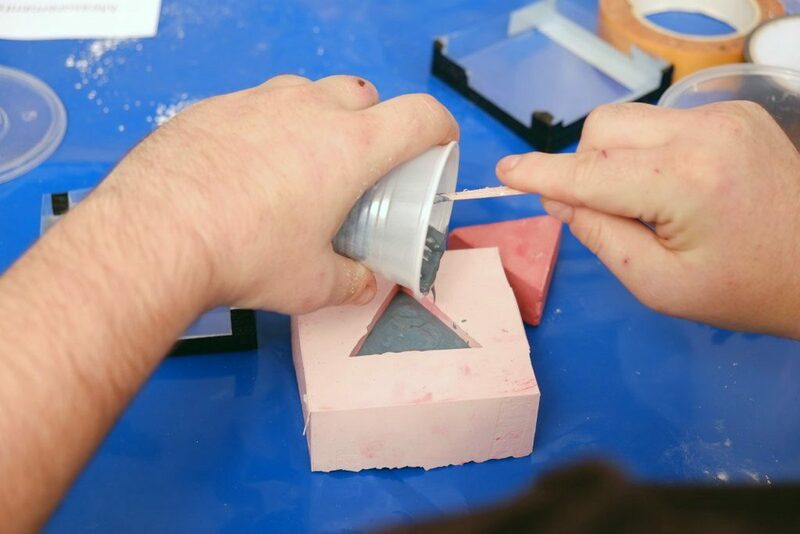 At In:Site he invited the public to cast use a range of molds to create their own lifestyle products using jesmonite, a versatile material similar to plaster. 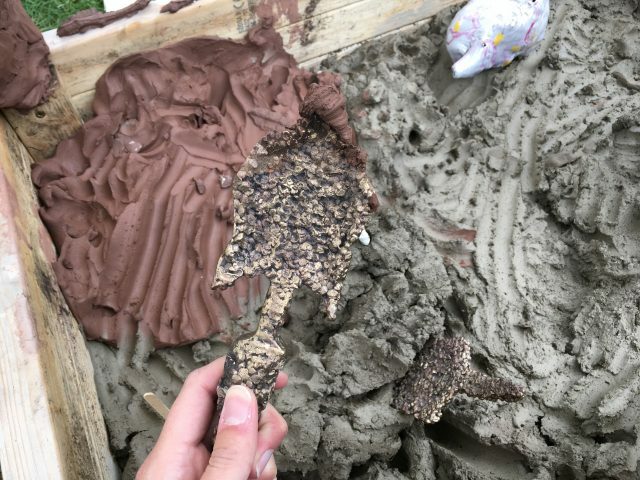 This was a process that was new to many people and they were happy to wait for the jesmonite to set and sand it down themselves in order to see the finished result. See George’s designs on his Instagram page. 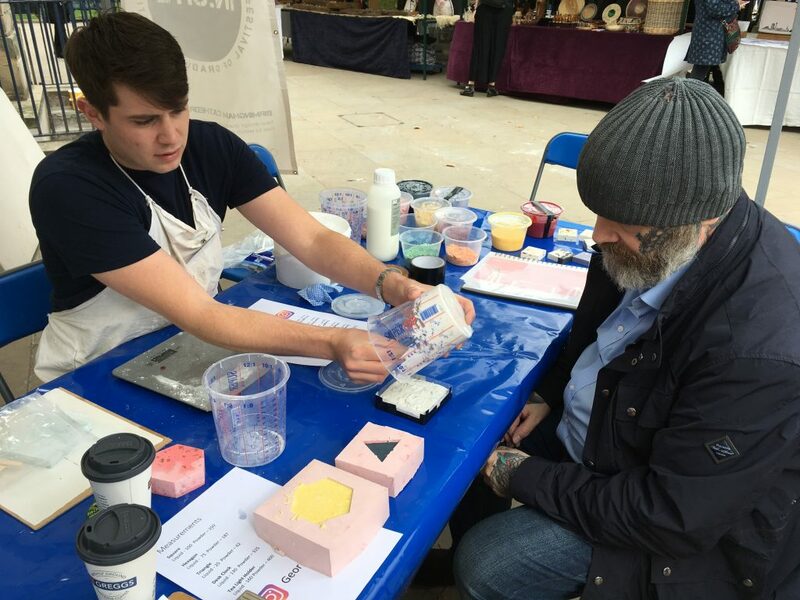 Marek studied Ceramics at Cardiff Metropolitan University. 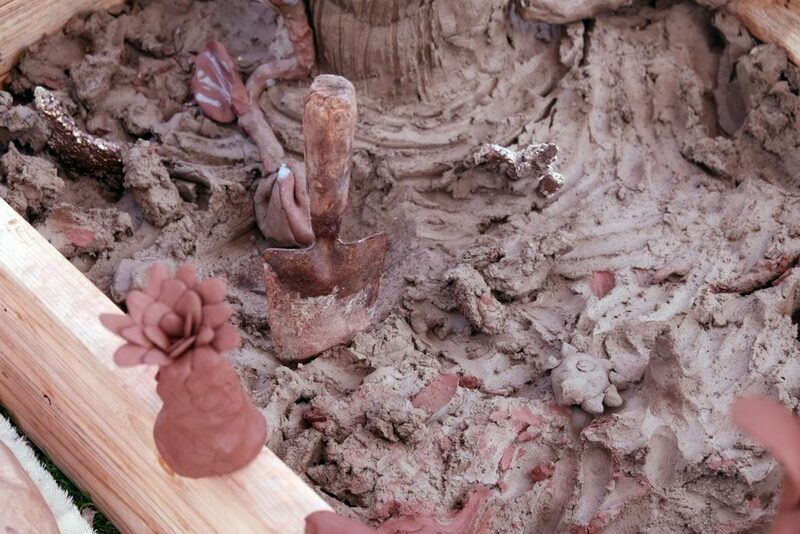 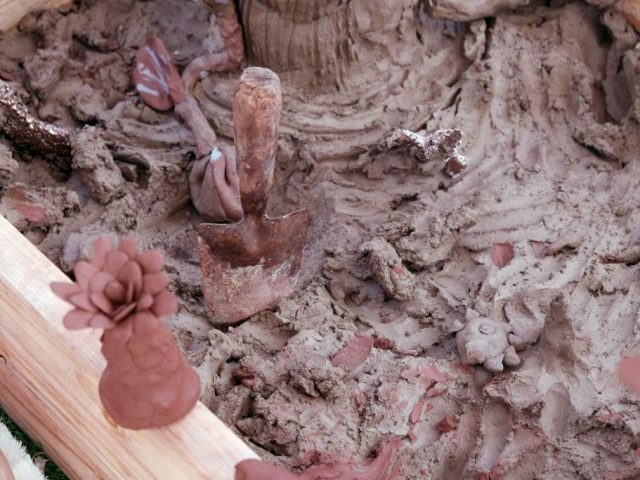 He is a ceramic gardener and created a pop-up garden space at In:Site festival. 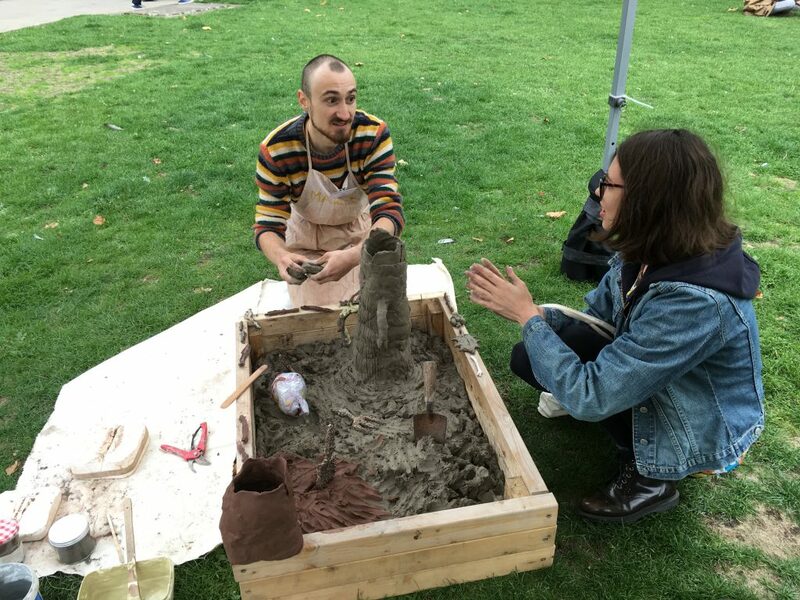 Marek brought with him his own handmade tools, created from casting bronze from carved polystyrene. 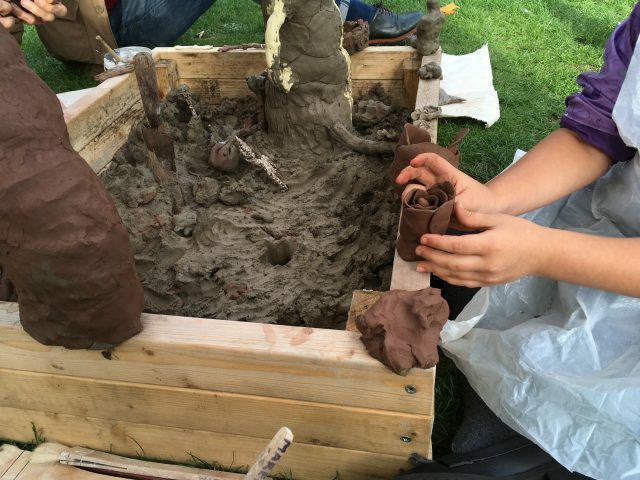 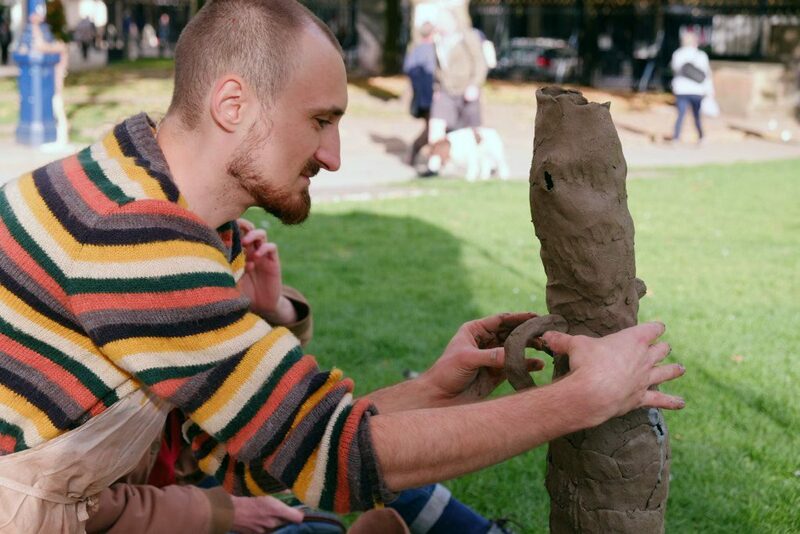 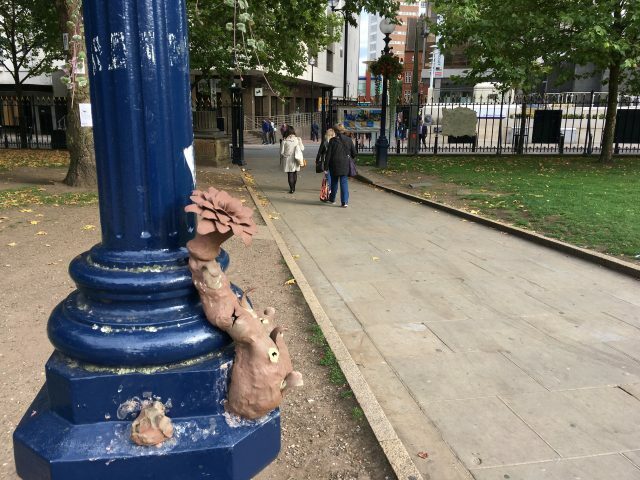 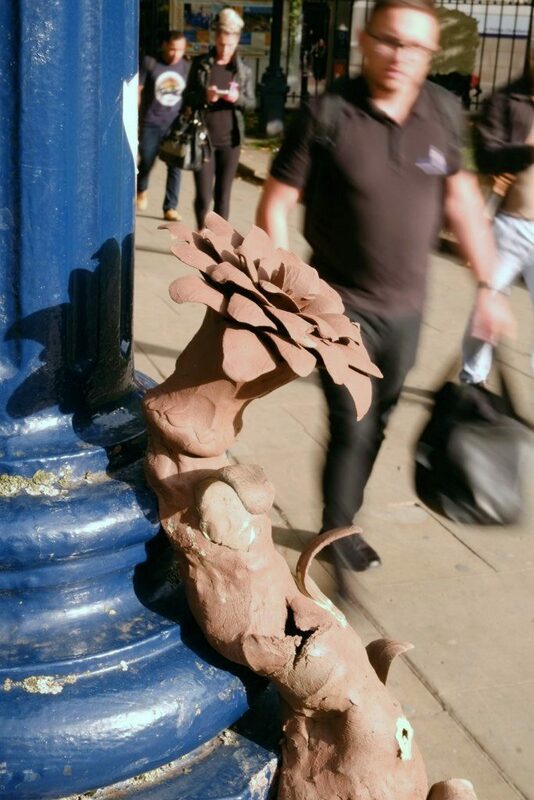 Using brick clay from the Forest of Dean, Marek created sculptures that wrapped around lamp posts and trees and he invited people to sit round and make their own additions to the clay garden. 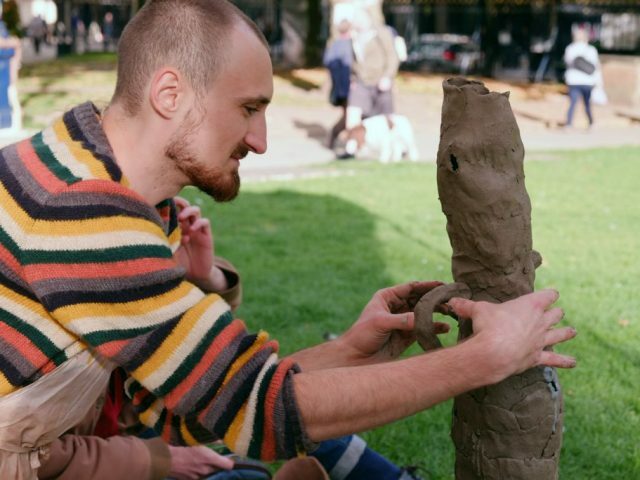 Find out more about Marek’s practice on his Instagram page. 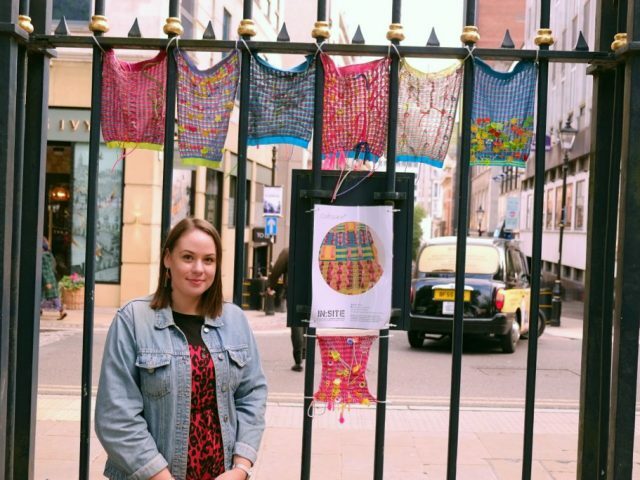 Bethan studied Textiles Design at the University of Derby. 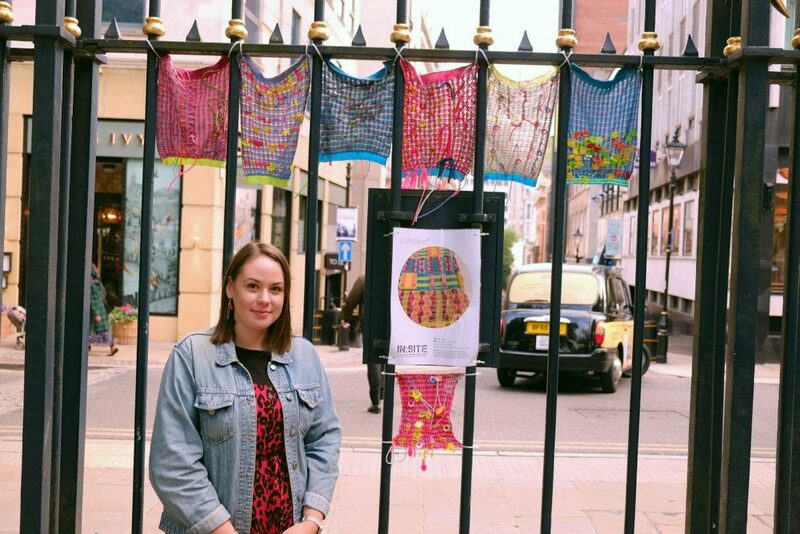 Her textile pieces are colourful and full of pattern. 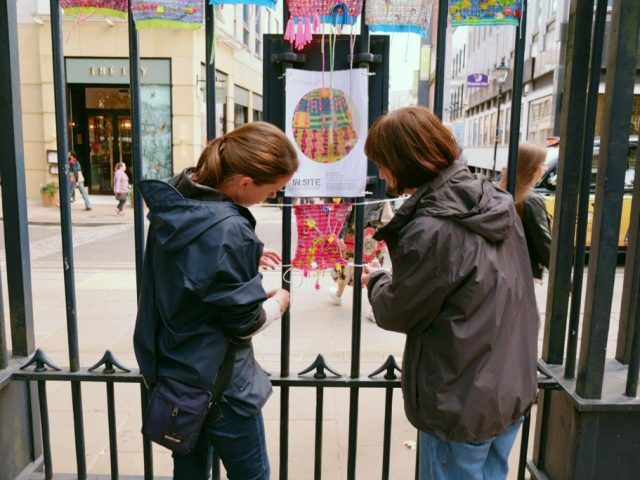 Bethan mixed traditional knitting techniques with modern acrylic embellishments; encouraging the public to be creative with stitch to create a series of art works inspired by the geometric patterns of the architecture around Cathedral Square. 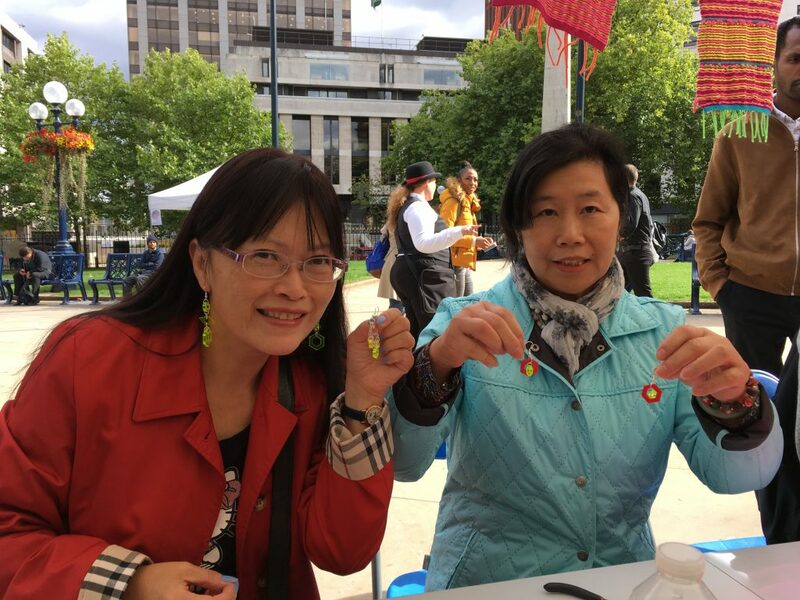 People could also make their own earrings from the various acrylic components, which proved a popular activity with passersby! 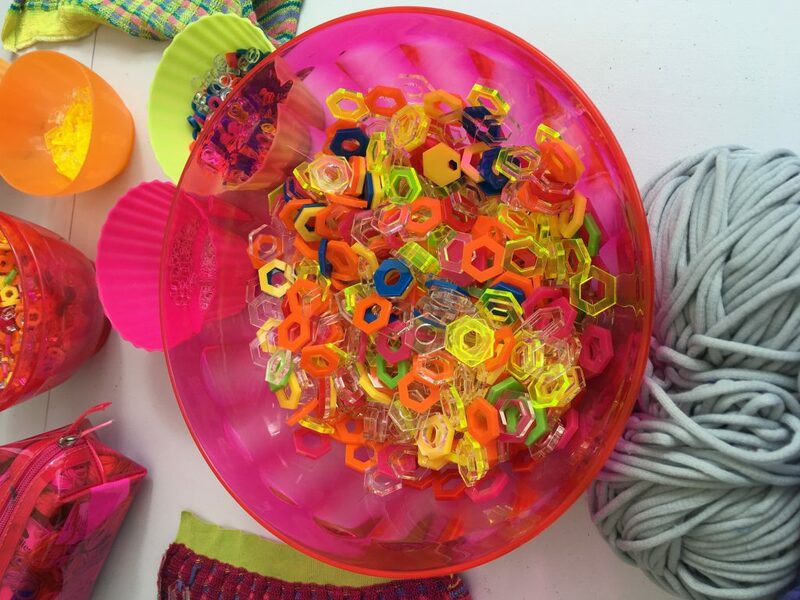 To see more about Bethan’s textiles practice visit her Instagram page.